This month we are delighted to announce Welsh soprano Llio Evans as our latest Audition Oracle singers preparation award winner. Llio has been a long standing member of Audition Oracle and we are delighted to be able to contribute to her preparation for future engagements. These include her debut with English Touring Opera as a Witch in Macbeth, understudying the role of Ilia, Idomeneo, and performing Cilla in their education project Waxwings. In the summer of 2019 Llio performs Zerlina in Don Giovanni for Longborough Festival Opera. Highlights in recent season include Celia, Iolanthe, for English National Opera; Iris, Semele, for Garsington Opera; and The Little One in the UK premiere of The Golden Dragon (Peter Eötvös) for Music Theatre Wales. 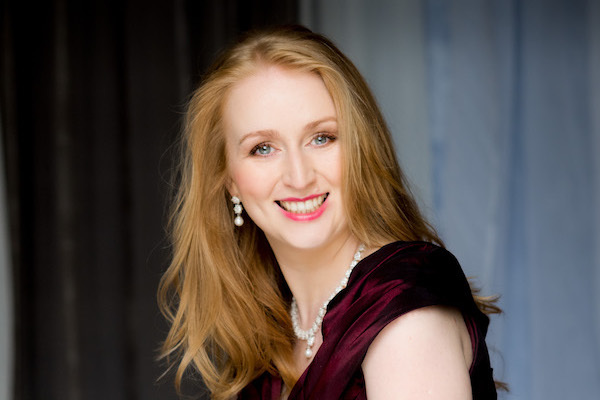 She also sang the soprano solo in Janáček's The Danube, with the BBC National Orchestra of Wales and made her debut at the Royal Albert Hall as a soloist in the Festival of Welsh Male Voice Choirs. Other roles include Musetta (Opera D’amore) Clorinda, La Cenerentola (HighTime Opera); Blonde, Die Entführung aus dem Serail (Pop-Up Opera); Yum-Yum, The Mikado, Gretel, Hansel and Gretel (Co-Opera Co.) and Susanna, The Marriage of Figaro, and Pamina, The Magic Flute, (Opera’r Ddraig). She has also covered roles for Garsington Opera including Despina, Così fan tutte and Mimi, Vert-Vert. A regular on the concert platform, highlights include Mendelssohn Elijah (St John's Smith Square, Three Choirs Festival with Philharmonia Orchestra), Bach Schweigt stille, plaudert nicht (Ensemble Cymru) and Arwel Hughes' Gweddi with the BBC National Orchestra of Wales conducted by Owain Arwel Hughes for BBC Radio 3. Llio is also an accomplished recitalist having performed recitals for Garsington Opera, Cardiff Music Festival, Swansea Music Festival, Llandeilo Music Festival and Ensemble Cymru. Llio can be heard singing the role of Barbeon the Chandos recording of Arthur Sullivan's The Beauty Stone with the BBC National Orchestra of Wales. In the current season Llio makes her debut with English Touring Opera as a Witch, Macbeth, understudies the role of Ilia, Idomeneo, and performs Cilla in their education project Waxwings. In the summer of 2019 perform Zerlina in Don Giovanni for Longborough Festival Opera. Further information about Llio can be found on her personal website and on her Audition Oracle Profile. Llio is managed by Steven Swales Artist Management.